When will be 2 Stupid Dogs next episode air date? Is 2 Stupid Dogs renewed or cancelled? Where to countdown 2 Stupid Dogs air dates? 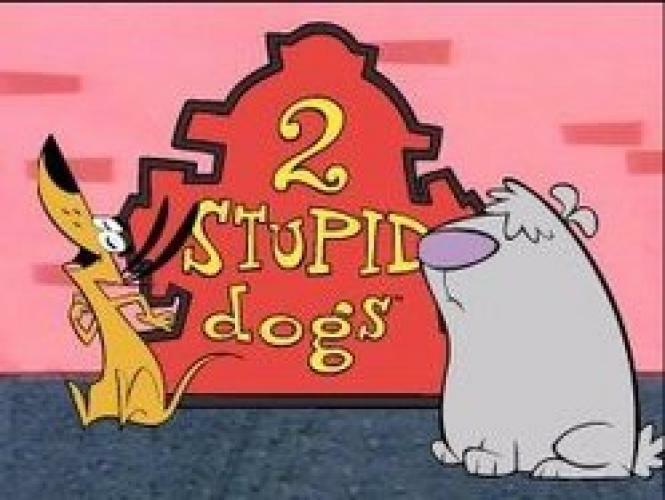 Is 2 Stupid Dogs worth watching? 2 Stupid Dogs followed the life of two dogs, Big Dog & Little Dog, who were, well stupid. The dynamic duo usually found thereselves to get stuck in sticky situations. The two were incredibally stupid, well more stupid than the average dog, and it's a wonder how they got out of their messes. EpisoDate.com is your TV show guide to Countdown 2 Stupid Dogs Episode Air Dates and to stay in touch with 2 Stupid Dogs next episode Air Date and your others favorite TV Shows. Add the shows you like to a "Watchlist" and let the site take it from there.